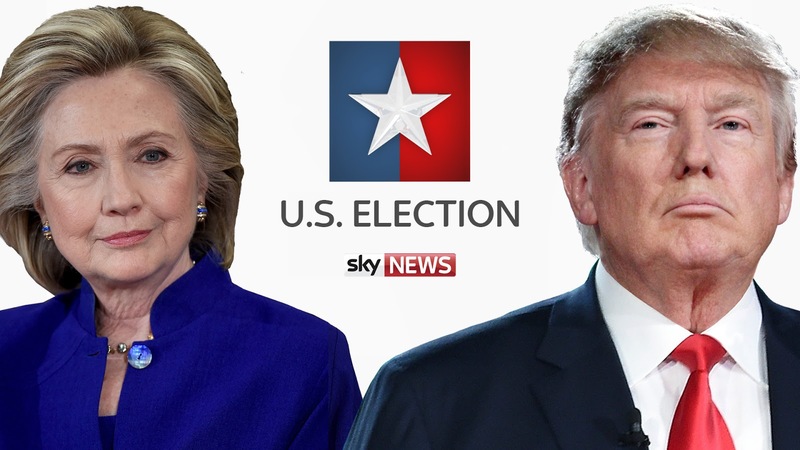 As the countdown to the US Presidential Election comes to an end, Sky News has announced ambitious coverage of the event, starting Monday 31st October. The recently revamped news channel will offer a nightly look at the latest twists and turns - America Decides - will be presented by former Live at 5 presenter Jeremy Thompson and be broadcast at midnight UK time, bringing Sky viewers the latest developments, interviews and analysis of the closing stages of the campaign. Adam Boulton, Kay Burley, Gillian Joseph, Sarah-Jane Mee, Dermot Murnaghan and Jeremy Thompson will all anchor the channel's coverage from Hillary Clinton and Donald Trump's home state of New York. Special editions of Sunrise, All Out Politics, Sky News Tonight and MURNAGHAN will all be broadcast from the US. There will also be teams embedded with both campaigns and reporters in the key swing states that will determine the outcome of the election. Throughout election night Jeremy Thomson will be joined by one of America's foremost polling experts and election forecasters, Professor Todd Donovan from West Washington University. There will also be teams live in all the swing states that matter; Ohio, Pennsylvania, North Carolina, Florida and Arizona. Meanwhile over on BBC News, World News America will be simulcast from BBC World News at 9:30pm from 31st October 2016. This is made possible due to a temporary reduction in the time difference between the UK and the USA between this weekend, when the clocks go back in the UK and the first Sunday in November when the USA has a time change. Usually World News America would clash with BBC News at Ten and The Papers.